What are the best electric guitar strings? Each and every note you play starts life as a string vibrating at a desired frequency. Looked at this way, strings cease to be a workaday accessory but the very vocal cords of your treasured electric guitar. As components go, guitar strings are cheap and can be fitted by any guitarist in minutes, so it’s worth experimenting with the various types that are out there - each of which opens up new tonal possibilities. But how do you know which will be the best electric guitar strings for you? After all, Stevie Ray Vaughan played very heavy 0.013-gauge strings and sounded great. On the other hand, Billy Gibbons reputedly plays very light 0.008-gauge sets and sounds… great. Behind the apparent contradiction is a fundamental tonal truth. Strings are an important link in your signal chain, just like an overdrive pedal or an amp - so what works for your heroes won’t necessarily bring out the best in your own sound, because every player’s touch and feel is unique. To help you get there quicker, we’ve put together this guide to the big names in electric strings today, spanning traditional and innovative approaches, and some notes on their performance. Next time you change a set of strings hopefully it’ll open some doors to new sounds. String sage Ernie Ball reckons it’s made some of the world’s strongest strings with the Paradigm set, which promises longer string life while retaining the company’s iconic Slinky tone and feel. Ultra-high strength steel can be found in the wound and plain strings, plus reinforcement at the ball end, enabling them to lock in tune fast and hold up to aggressive styles. There’s even plasma-enhanced wrap wire for increased corrosion resistance, too. Claimed to be among the strongest electric guitar strings ever made, D’Addario’s technology offers a high-carbon steel core to resist breakage and refined frequency response to enhance presence and crunch. D'Addario reckons they will "bend farther, sing louder, and stay in tune better than any string you’ve played before". As a company at the forefront of the longer-life coated strings market when it was developed in the '90s, Elixir has continued to refine the technology. Optiweb is the company’s latest coating, helping to protect the string from corrosion while offering the same tone as uncoated strings. The Brit company has been making strings since 1959 and now colour-codes according to gauge as Roto Reds, Pinks, Yellows and Purples. The extra first string is a useful addition to these nickel-on-steel sets, especially to players who are prone to snapping that high E.
A number of brands now have sets catered for drop tunings like drop C, and these are designed with heavier cores to enable comfortable tension at lower tunings. There’s a seven-string option, too. Traditional sets can sometimes feature vastly different tensions between strings, causing players to compensate with altered techniques. 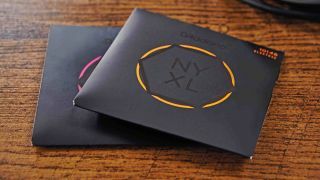 New York string icon D’Addario set out to even the playing field with its Balanced Tension XL sets, which boast mathematically equalised resistance for a similar feel from string to string. That means even effort when bending, strumming, plucking and slapping, and even improved dynamic control. The company’s latest step in the Super Slinky catalogue is the first cobalt string – a material said to provide a stronger magnetic relationship with pickups for higher output, clarity and harmonic response. These long-life strings from German company Optima are the only 24-karat gold strings in the world (don’t fear, they’re priced in the upper-medium end of the spectrum). These 0.009 to 0.042 sets are used by May exclusively. The vintage, warmer character of pure nickel has had a bit of a renaissance over the last decade and Fender has recognised the demand with its 150 range. These strings are available in a wide selection of gauges. Extra light indeed! But these come with great providence; they’re design in collaboration with Rev Billy F Gibbons himself. Few players will have experimented with a gauge this light, and intonation alternation may be required, but you’ll be surprised at the doors they’ll open in the world of bending and subtle vibrato. If you really want your guitar strings to stand out as well as your playing does, then these colourful options from DR are a novel eye-catcher. For even more fun, stick them under a UV light and they’ll glow, too! 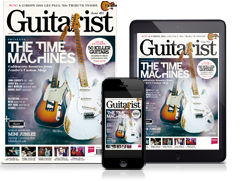 They might also serve a practical purpose for beginners, too, as new guitarists can quickly identify specific strings based on their colour.